WASHINGTON, D.C. – The National Association of Counties is offering an app that will instantly test broadband speeds. 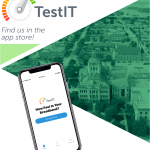 Umatilla County Board of Commissioners Chairman Bill Elfering says the app, called TestIT, does more than give its user information. It also will help NACo point the federal government in the right direction to help improve broadband service in rural areas. “It will compile into a body of data that will indicate whether or not the federal government needs to spend infrastructure money on broadband,” Elfering said. He said that the data is stripped of any personal information, retaining only the location and the broadband speed. It could mean a boost to broadband locally. The app is available for both Droid and i Phones. It can be downloaded at Google Play, the App Store, or at https://www.naco.org/testit.